A busy week choosing paint colours, light fittings and more tiles (amongst other things…). The roof arrived (installation couldn’t start due to the abundance of wet weather). Painting got to the point where colours needed to be chosen. The kitchen was assembled ready for worktop templating next week. Kitchen appliances arrived at short notice, (cue a frantic early morning trip to open up the house). 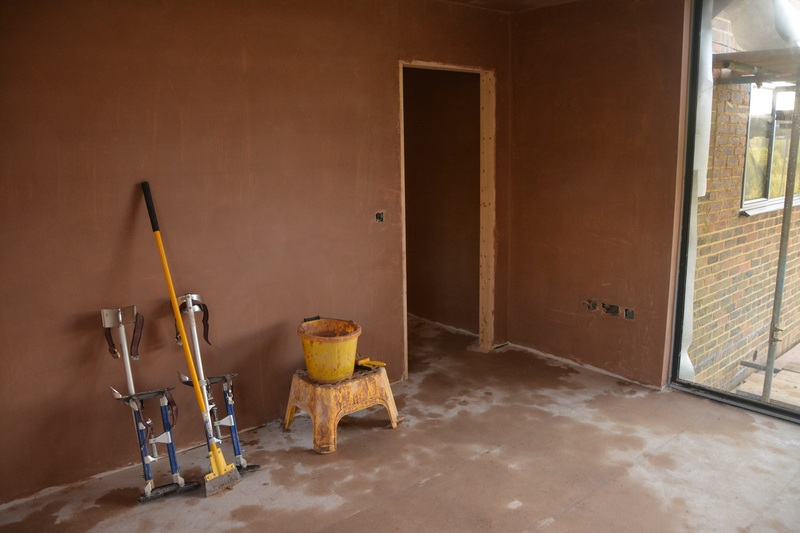 The walls got even smoother as the plasterers made more progress. 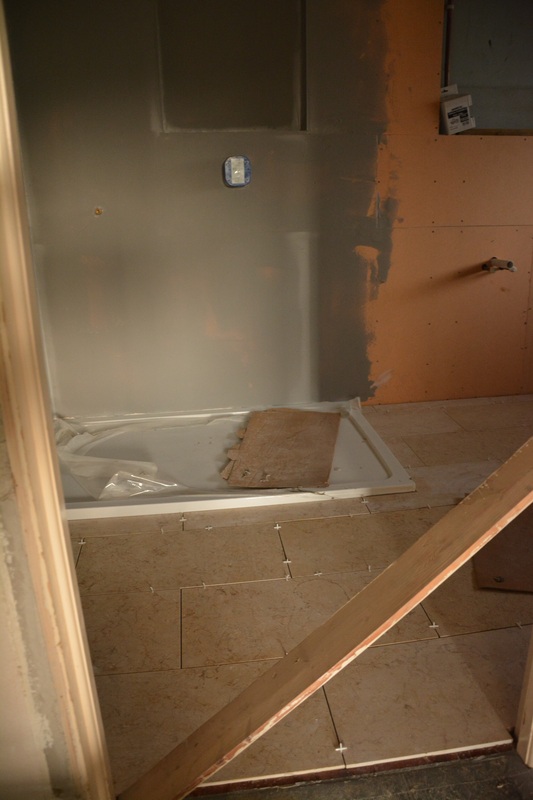 Floor tiles were laid in the master and family bathrooms. And the balcony steel was delivered, moved into position and fastened to the wall (no mean feat – it’s 6 metres long and took a team of six to shift it). 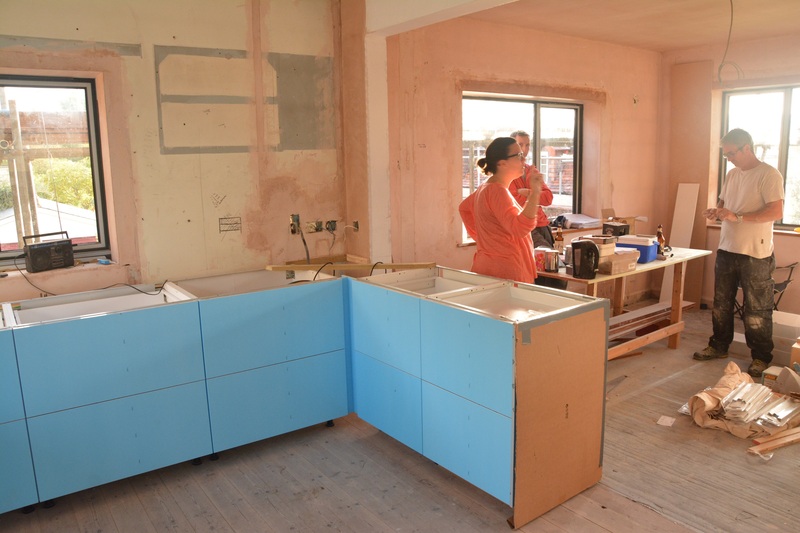 Kitchen’s looking good – even in its delicate shade of blue. I bet next time Chris comes home, he won’t want to go back! Hi. Great to see the build advancing to completion. It will be a hectic time for all. It will be all worth it in the end. Dad.